As a day to remember those who fought and died in service to our country, Memorial Day was originally called “Decoration Day.” Waterloo, New York, was declared by President Lyndon B. Johnson to be the birthplace of Memorial Day back in May of 1966. May 30 as a date was chosen at the time because no specific battle was commemorated on that day. Currently, the last Monday in May holds the honor of being Memorial Day. 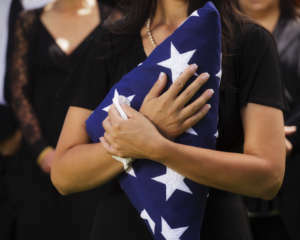 A woman holding a folded American flag at a funeral. The National Moment of Remembrance resolution was passed back in 2000, and asks all Americans on Memorial Day at 3 p.m. to “To voluntarily and informally observe in their own way a Moment of remembrance and respect, pausing from whatever they are doing for a moment of silence or listening to ‘Taps.’”It is important that we remember those who fought for our country and paid the ultimate sacrifice to keep us safe here in the Unites States. There are many ways you can pay your respects to those who fought and died for us. For example, you can help arrange official color guard ceremonies for Memorial Day events and year-round for church services, athletic events and school programs. There will be a free Ranger Talk from 2:00-2:45 p.m. and 4:00-4:45 p.m.
From 8-9 p.m., PBS will sponsor a free concert on the West Lawn of the U.S. Capitol. General Admission gates for the event will be open starting at 5 p.m. 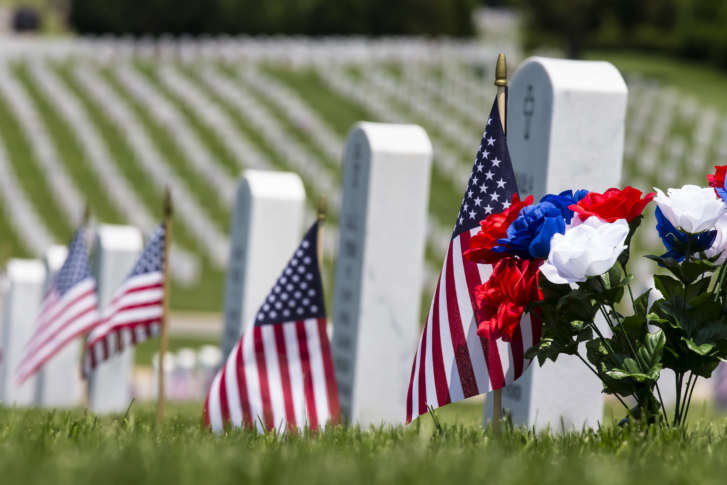 The parade will take place at 11 a.m. and will follow a route from 78th St and Third Ave., along Third Ave. to Marine Ave. up to Fourth Ave. and over to John Paul Jones Park to 101st St. and Fourth Ave. for a memorial service. The parade will take place at 2 p.m. starting at the Constitution Ave. and 7th Streets, NW and ending at 17th Street. 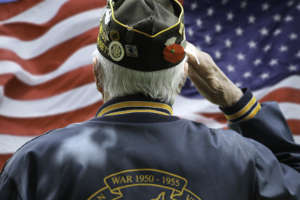 The Purple Heart Foundation is committed to honoring our heroes who made the ultimate sacrifice to defend our country. Nearly 90 percent of cash donations the Purple Heart Foundation receives provide funds for programs that help the National Service Officer Program, the Scholarship Program, as well as other programs. It is our goal to help make the transition from the battlefield to the home front a smooth one for all of our men and women in uniform who defend our freedom. Show your support for them by making a one-time or monthly pledge to make sure they continue to receive the support and benefits they deserve by clicking here.